I’ve been a little busy in the Prydein Press office of late. Not only have I signed a couple of new authors (more about that soon). But I have been getting ready to put our first book into traditional paper format. Wow! certainly a lot of work, but so rewarding to know that the wonderful knowledge that is contained within these pages will persist long after the power has run out! 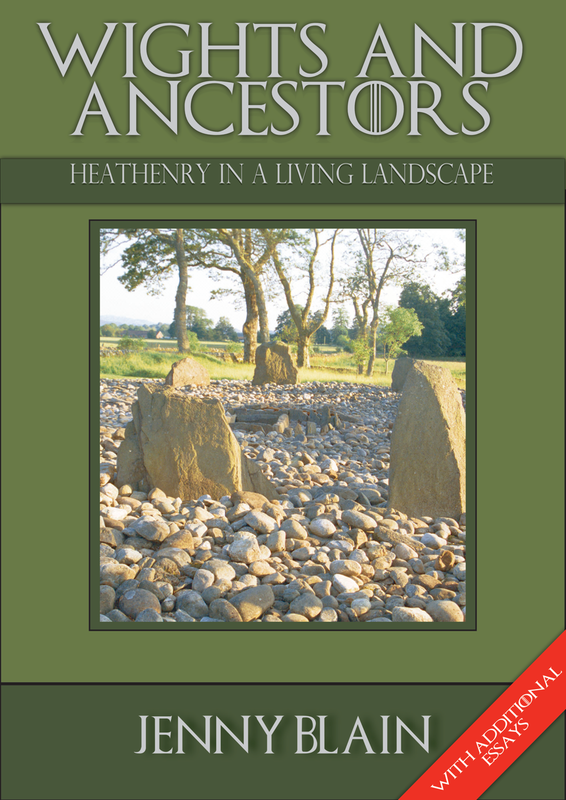 Dr. Jenny Blain first released Wights and Ancestors: Heathenry in a living landscape, over a decade ago. It has been a key text for those exploring the Northern traditions ever since. She has been working on a new and improved edition for some months now and we are really excited that we are close to releasing this brilliant little book. 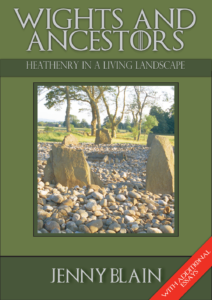 As well as the original text Jenny has included additional essays and some inspiring detailed insights for working with spirits of the land which draw on folklore and mythology in a forthright and refreshing way. By way of a little appetiser I thought you might like to see the cover of the new and improved 3rd edition which will be released within the next few weeks. where can I purchase this book at a reasonable price? $48 at Amazon is way too expensive. Thanks for asking Deryk, I have sent you an email. Look forward to hearing from you soon. hmmm didn’t get an email back as of yet.